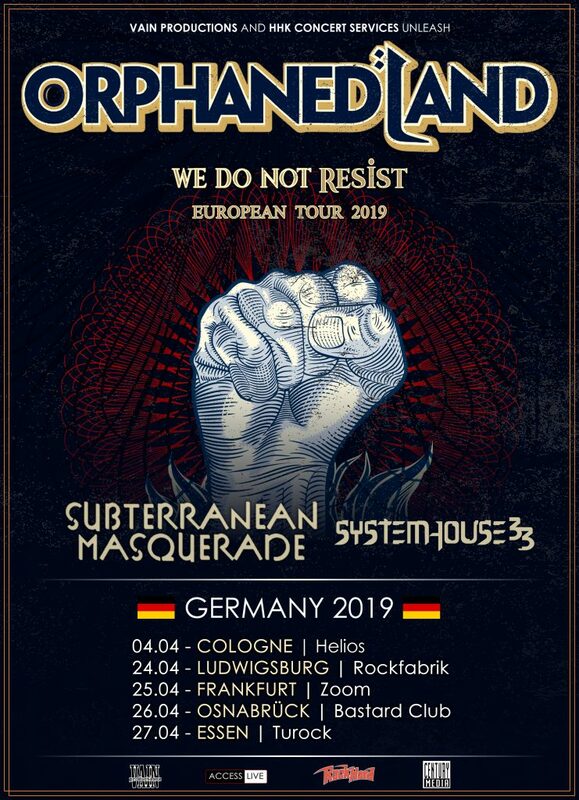 After a very successful European tour in 2015, SystemHouse33 is all set to return to Europe in April 2019 on the “We do not Resist” Tour headlined by the mighty Orphaned Land and alongside Subterranean Masquerade. This SystemHouse33 European Tour 2019 marks 3 years since the band toured in the European continent. The band has been confirmed for 5 dates in Germany, with many more dates to be announced. 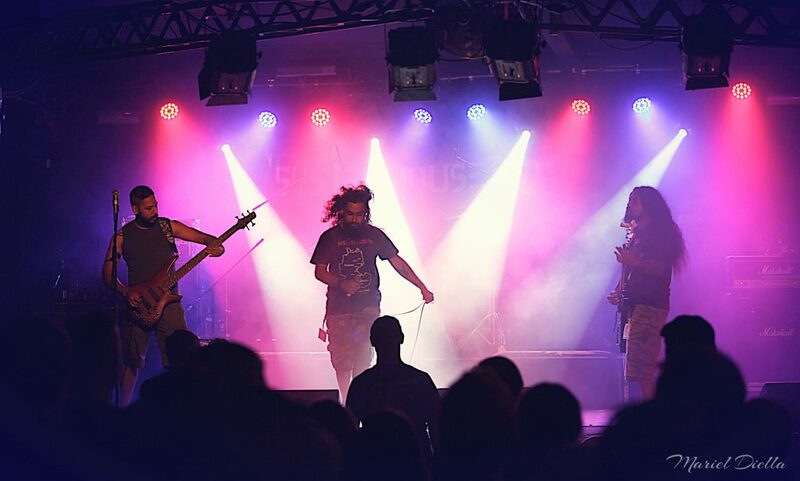 September 22, 2018 marked 15 years of SystemHouse33 as a band making them one of India’s longest running metal bands. SystemHouse33 last performed in Germany in 2015 on Six Feet Under’s Xmas in Hell tour which also had Short Fuse and Soul Line as supports. Regression, SystemHouse33’s fifth album, was pre-released across Europe during this tour. The band is currently recording their 6th album. Orphaned Land is a heavy metal band from Israel that has been in existence since 1991. The band is well known for their unique sound that combines western Asian, Arabic and Jewish influences, and are better known for being the pioneers of Oriental metal. Subterranean Masquerade is a progressive metal band from Israel. Check out SystemHouse33’s official music video for Death Chamber from the album “Regression”. Stay tuned for more updates from SystemHouse33.